Hello teacher friends! I don't know about you, but I have been busy in my room the last few weeks! Next week marks the official start of school as well as the "dreaded" back to school night. My school calls it "Open House" and families meander into the school and visit their classrooms. It's fairly informal. Right now is the PERFECT time to stock up on folders for super cheap! 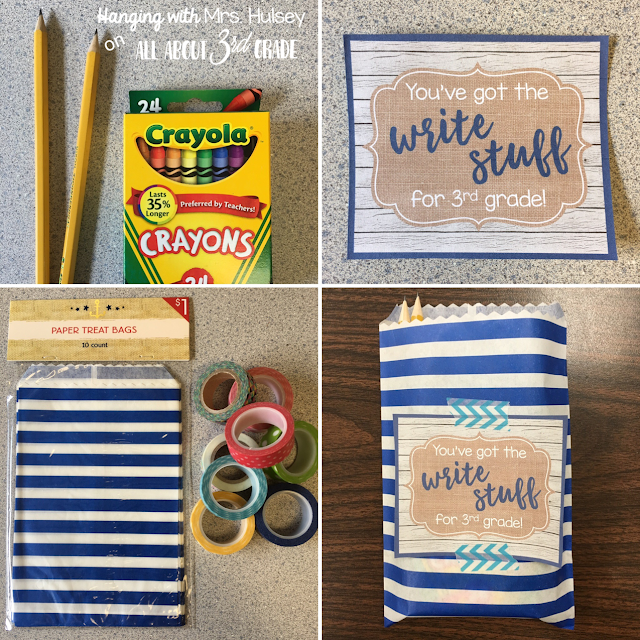 I bought a class set just for our open house (and I bet I get a lot of them back and I can reuse them next year). First, I created a simple cover to print on Astrobright paper. Next, I glued a cover on each folder. 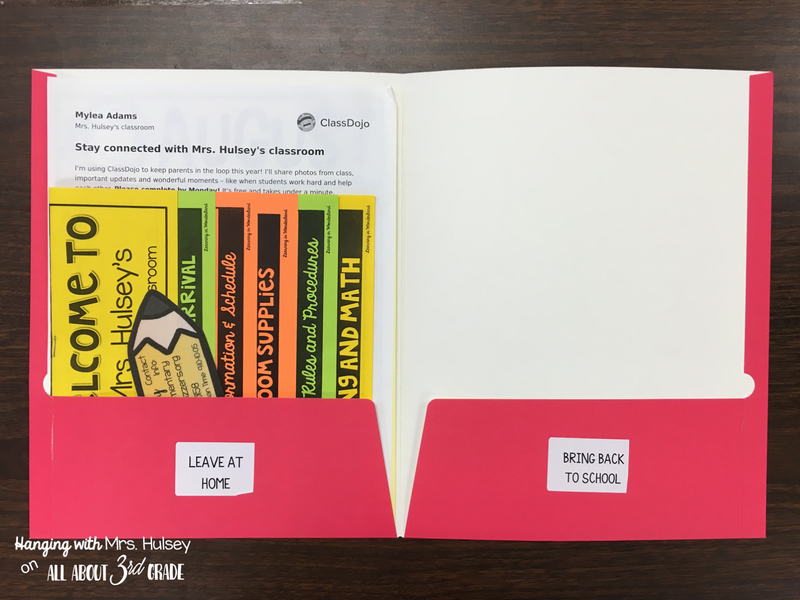 Then, I printed out labels for the inside pockets ("keep at home" and "bring back to school") Here's a handy tip I learned this summer: Double up the words on your labels and cut them in half! It'll save you time and money! Now I can sort my students' paperwork so easily-- and parents won't have to remember what to do with everything! 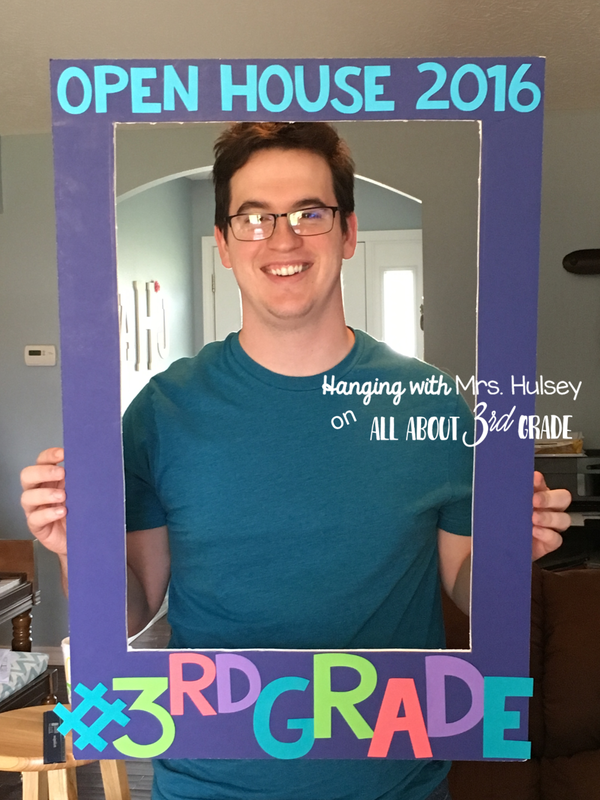 This is one of my favorite back to school night activities! 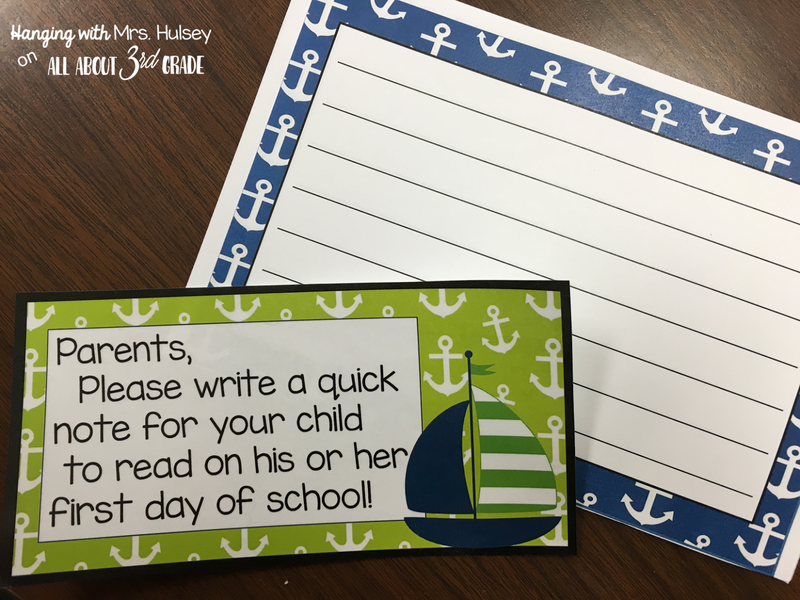 I set out little tags and pieces of lined paper that invite parents to leave a note for the "first day of school". I put that note on the student's desk on our first day! They love it! This particular set came from my "Nautical Open House" set-- but you could easily create your own version! Set up an area of your room for a wish list! You'll never get something you don't ask for! 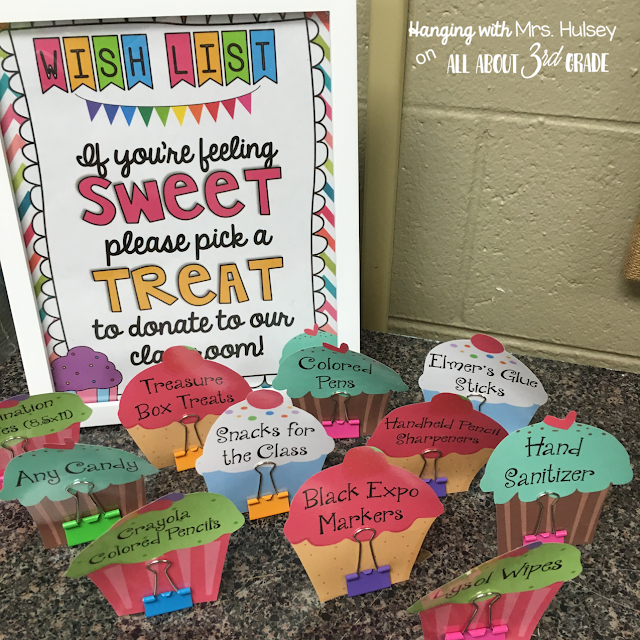 I saw this oh-so-adorable idea on the Sweet Tooth Teaching blog! For many years I just let my students stand around and watch their parents fill out paperwork. *yawn* Well, not this year! I've got some activities planned to keep them (hopefully) entertained! First, I created this large photo prop (as show on Teach, Create, Motivate's blog) for my kids to take pictures with! I'm going to change out the top line of text for occasional fun days! 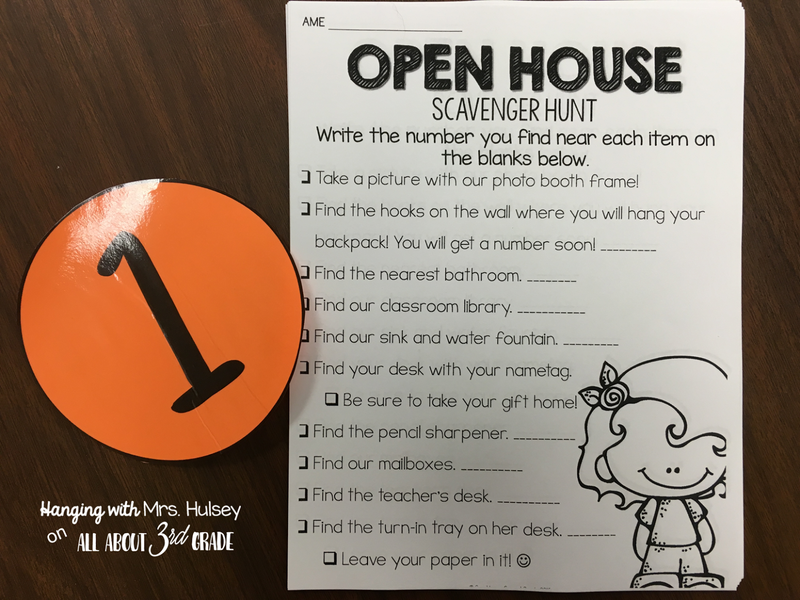 I also found a free editable scavenger hunt through Pinterest! So I will set out clipboards and pencils for my kiddos to use while their parents are busy. I already cut out and hung large orange numbers around my room for their hunt! Also, be sure to check out That Teaching Spark's "Editable Open House" resources for more FREE goodness! This year I went the sensible route! 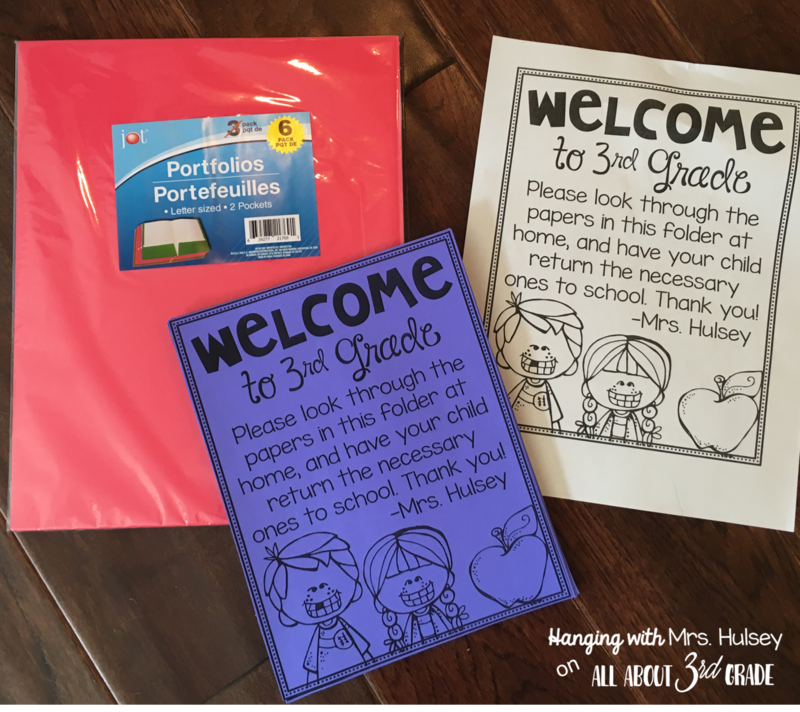 I hope these tips help your back to school night/open house/meet the teacher night go smoothly and fantastically! Thanks for sharing all of these wonderful ideas, Anna! I am definitely saving them for next year! Thank you, Pamela! I hope school is going great for you!